You don't have to be an expert offshore skipper with thousands of miles of passages under your belt to come sailing with Kavas Yachting. You should have some sort of qualification to come sailing with us, though again we have opportunities to sail with us even if you are a complete novice and just want to learn the ropes. 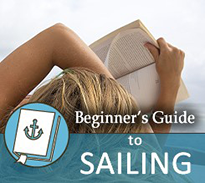 Let's take a general look at the sort of sailing qualifications you need to sail on a Kavas yacht. 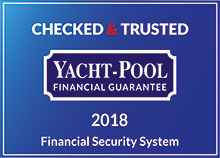 See at the very bottom of this section what specific qualifications you can use to sail with us but below we discuss the options you have to sail with on our yachts. If you as a family or group of friends want to come sailing on Greek waters yet have no sailing experience whatsoever, you can arrange to sail with a professional skipper. This will cost more than a 'bareboat' or flotilla holiday, but he or she will bring with them a lot of sailing experience as well as a lot of knowledge of the waters and islands where you will sail. They will be your personal tour guide and should help you find whatever you seek, whether sun soaked beaches, a taste of the history and culture of the regions, a prolonged bar crawl or a mixture of all three! A little experience but need more confidence? Flotilla sailing… If you have a basic sailing qualification such as an RYA Competent Crew or an ASA 103 Basic Coastal Cruising qualification you can come on a flotilla sailing holiday with us. These are small fleets of yachts led by a professional skipper who will lead the flotilla around the islands and coastline. It will be designed around a gentle sail during the daytime and plenty of time to explore your destinations on arrival. Kavas also offer flotilla racing holidays. Sailing during daylight hours you and your crew can compete in a weeklong regatta with other crews as you push your boat and crew to the max every day, letting off steam in the evening in the tavernas of choice. Not everyone is into racing or flotilla sailing. With an International Certificate or Competence or equivalent sailing qualification such as the US ASA 104 Bareboat Cruising certificate you can rent the yacht and cut loose for a week or two. Though our insurance will not cover any damage done after nightfall (meaning you are wholly responsible for any accidents) you are free to explore the region and do as you wish. Where sailing is almost always about coming out of your comfort zone, remember that just because you have done a week long sailing course you are no Robin Knox Johnson. If you haven't been sailing for a year before you set foot on our yacht, set your sights on a shorter passage at first to get back in the swing of things. People come sailing with us from all over the world. Here are some examples of sailing qualifications we accept for people to use our yachts, from specific countries and regions of the world. Most European countries and South Africa are signed up to the International Certificate of Competence, that stems from a treaty that set agreed standards of sailing skills to sail in each other's waters. The US, Canada, Australia and New Zealand aren't signed up to this but we do consider individual qualifications on their merit. Below is a brief list of sailing qualifications we recognise here at Kavas Yachting. If yours is not listed, contact us to discuss. It is not exhaustive - there are more than 40 countries that have state or national sailing schemes - so we focus here on where most of our customers come from.